It's been a long time since a created anything to sell on TPT. I may have just been a little burnt out from working and mothering. But finally, I finished a unit on communities! The drive to create this unit was by instigated by my daughter. I think almost anything I create is to further understanding in my own children! It actually worked! 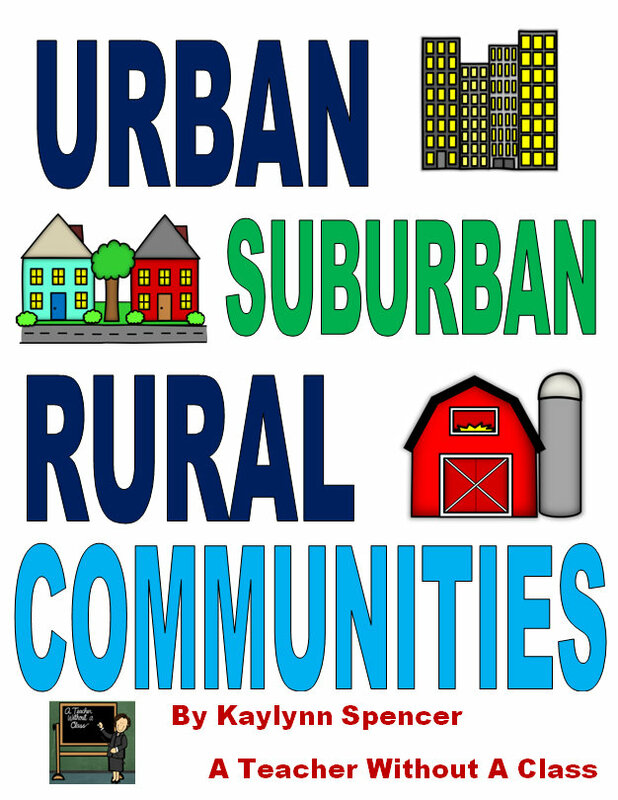 She came home from school not understanding anything about the difference between rural, suburban, and urban communities. After reading the book I wrote, and doing some of the sorts, she understood! 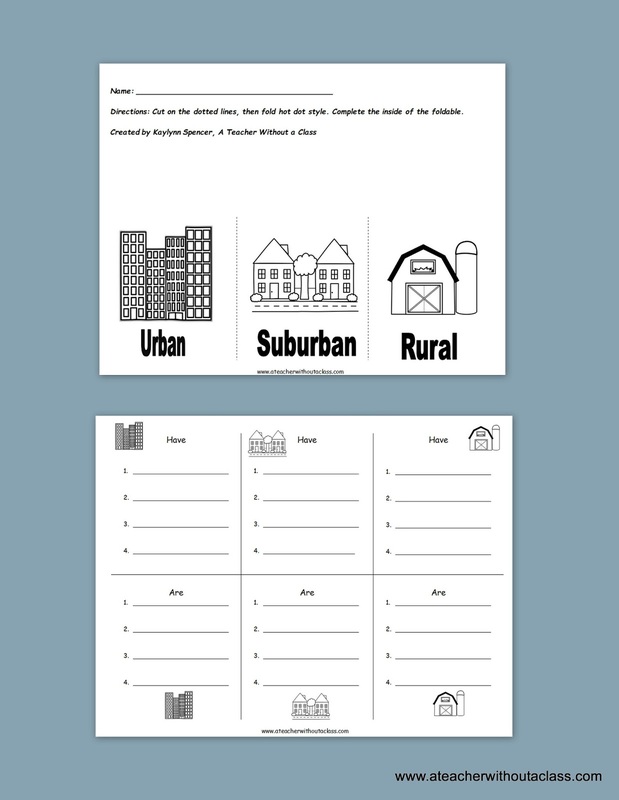 I know the teachers helped as well, but if your kids aren't understanding communities, then this unit may help! I think this is by far one of my favorite packets I created! 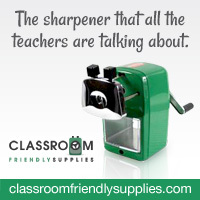 I hope you it helps you and your students too! 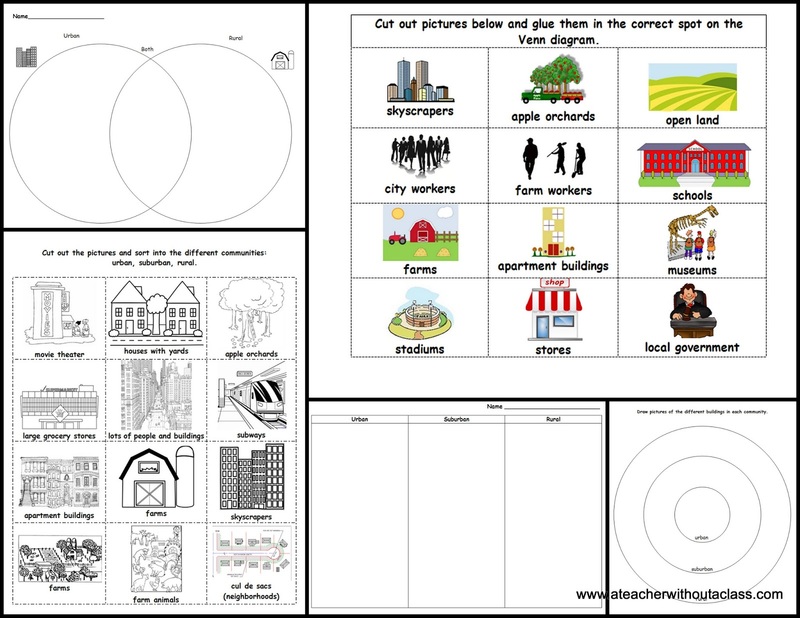 You can buy it at my TPT store. First in the packet is a non-fiction book. Really simply written, but I did that deliberately to make the abstract concept of communities concrete. Here is a sample of some of the pages in the book. 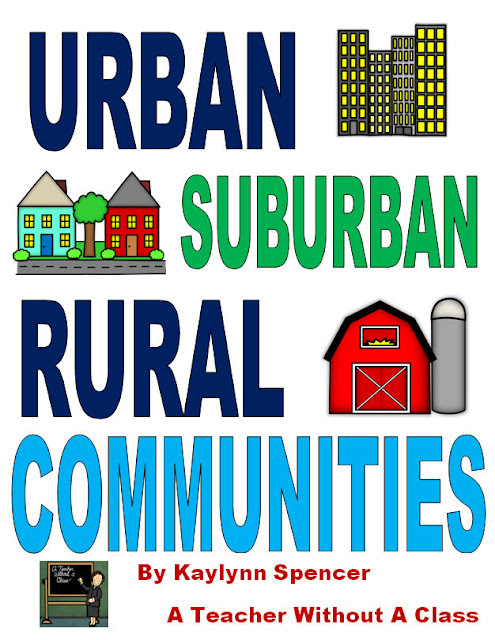 Suburban, Urban, and Rural Communities. Second, I created a fold-able, where the students can write what the three communities are and have. Again, this helps to make the abstract idea concrete. I love the clipart I found from Tanya Rae Designs. Check out her store, it's amazing! Third, I created three simple activities to compare, sort, and draw the different communities. 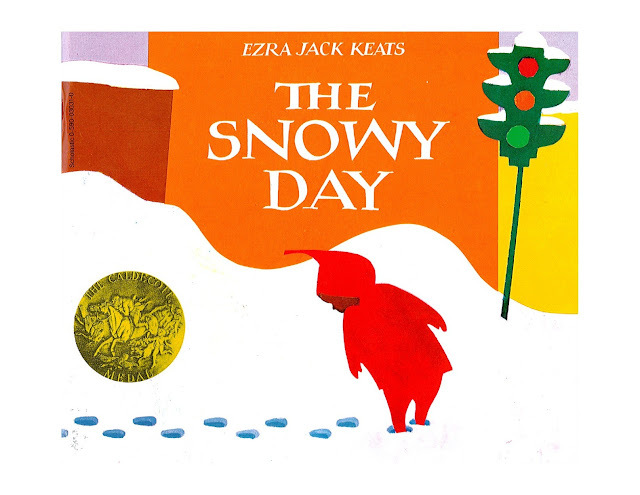 Finally, I created a book list of fiction and non-fiction books that can help your students understand this concept. I am sure there are many more, and perhaps this list will help you think of more books. I didn't even include chapter books in my list. This of course showcases a city, or urban community. I like this series because they really introduce many concepts that are important in Social Studies. 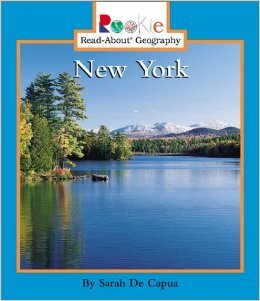 I love this book because it shows the New York that I love. I love the city, but my home is a small college town surrounded by rural communities. The dairy farmers of New York are amazing people! 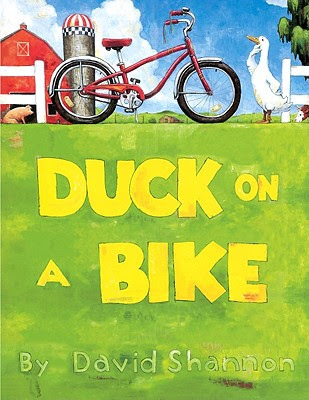 I have always loved the book, A Duck on a Bike. 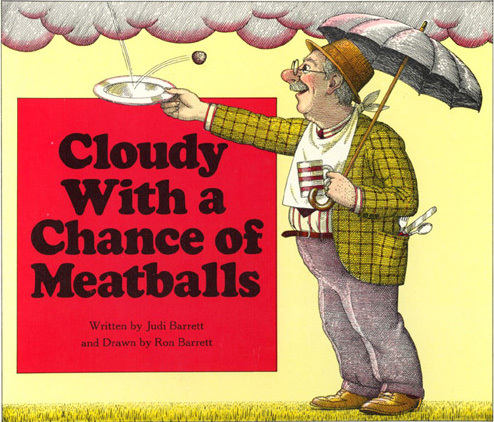 So why not share it again with older kids in the context that although fiction, it showcases many aspects of a rural environment: farm animals, farm equipment, and the peace and quiet. 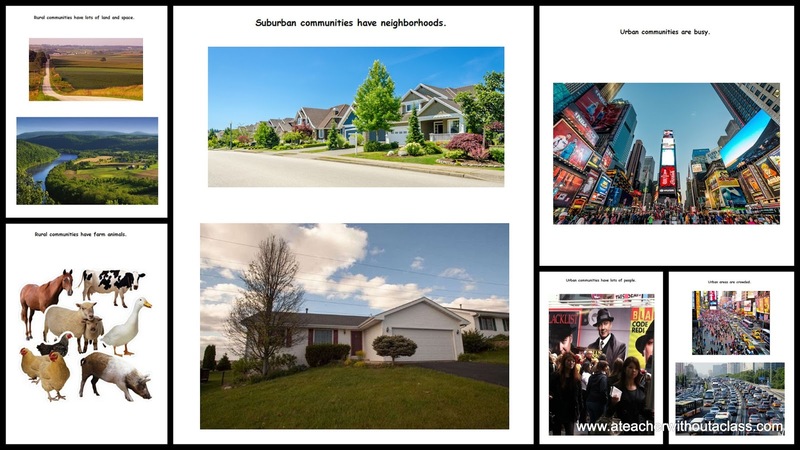 Yes, I know that this is fantasy, but the family lives in a suburban community I also love the Alex sevies by Judith Viorst to showcase a suburban community. Peter lives in a big apartment building in a city, This book along with Cordory, have their characters living in an urban community. Some chapter books: Cricket in Times Square, Strawberry Girl, Frindle just naming one chapter book for each community. Of course there are many others! I would love to hear your suggestions! So head on over, and buy my latest packet! I found it helpful for my daughter, so I hope it helps others as well. Overall that's good information, i see. 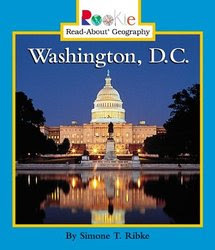 Social studies is also based on the education of economics, law, and political science. This teaches kids how riches is appropriated on the planet alongside worldwide issues, which is among the advantages of social studies. I am also providing custom assignment writing help for students related to social studies. Great blog and post thanks for https://www.assignmenthelper.com.au/nursing-assignment-help/ sharing remarkable and knowledge with us.